Gambling experts can't say for sure whether the opening of the MGM National Harbor a year ago has had a direct effect on the incidence of problem gambling in Prince George's County or in Maryland, but the casino opened in the middle of an influx of people seeking help for problem gambling in the state. 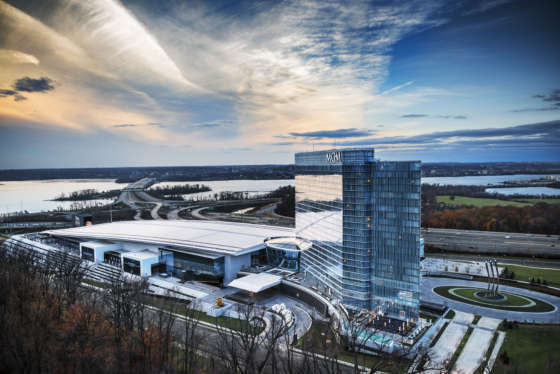 WASHINGTON — MGM National Harbor became Maryland’s sixth casino on Dec. 8, 2016; the state’s five others opened between 2010 and 2014. It has been one year since MGM opened, and gambling in the state is bringing in millions each month — $130.5 million just in November. 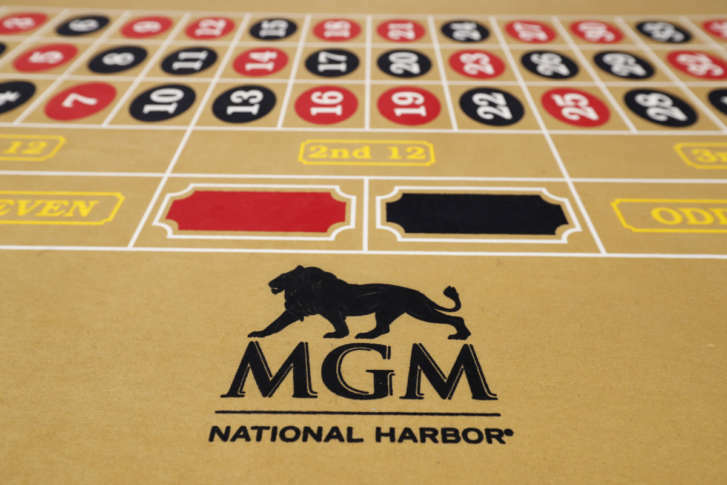 While the state’s casinos have had a huge economic impact, it’s not known yet what the opening of MGM National Harbor has meant for problem gambling. It has opened, however, in the middle of an influx of people seeking help for problem gambling in the state. The state Department of Health and Mental Hygiene conducted a study before the first Maryland casino opened in 2010, and published it in 2011. They found that nearly 90 percent of Marylanders had gambled, and that 3.4 percent were either pathological gamblers or problem gamblers. The department is in the final stages of a new study, which they expect to release early in 2018, that will provide a picture of problem gambling in the state after more than seven years of casino gaming. The Maryland Center for Excellence on Problem Gambling, run by the University of Maryland School of Medicine, reported that contacts with the helpline — calls, texts and tweets — increased by 8 percent in fiscal 2016 over the previous year, and by 65 percent since fiscal 2013. They added that 143 people were put in treatment by providers on their list in fiscal 2016 — a fivefold increase over the previous fiscal year. The report shows that the largest age group calling the helpline (calls, not texts or chats) was 45 to 54; the 18 to 24 age group has grown the fastest. The center calls it “an age group that is increasingly the target of casino and gambling marketing.” Men still make up the majority of those seeking help, but women are closing the gap. And half the callers came from counties or cities with casinos in them. The Maryland Department of Health and Mental Hygiene defines pathological gambling as “continuous or periodic loss of control over gambling, progression in gambling involvement and a continuation of involvement despite adverse conditions, such as financial, occupational or health problems,” and problem gambling as a less-serious version of pathological gambling. The State of Maryland and MGM Resorts each have resources for people to figure out whether they have a gambling problem. Common signs include needing to gamble with bigger and bigger sums of money to get the same amount of excitement, restlessness or irritability when trying to cut down on gambling, using gambling to escape from personal problems, lying about gambling and more. The hotline for people who feel they need help with a possible gambling problem in Maryland is 1-800-GAMBLER. You can also go to mdproblemgambling.com. If people don’t trust their own willpower to keep them out of the casinos, the state, and MGM, can help them. MGM’s GameSense program provides not only warning signs, but also information on the odds that gamblers face in their casinos — with a heavy emphasis is on the fact that gambling, particularly on games such as slot machines as opposed to “skill-based” games such as poker, is a fully random event: There’s no such thing as a hot machine, or a machine that’s due to hit. The company also offers a Self-Limit Access Program, which allows people to authorize MGM casinos to prevent them from many services the casino offers, including check cashing and cash advances. And at the Maryland Lottery and Gaming Control Agency office, or any casino in the state, gamblers can apply for the Voluntary Exclusion Program, which allows people to ban themselves from casinos and/or the lottery. Carole Bober Gentry, at Maryland Lottery and Gaming, said that 1,625 people are currently on the voluntarily excluded list for Maryland casinos. She said that from the beginning of this year through the end of October, 378 people had added their names; during the same period last year, the number was 305. She calls it “a tool of responsibility,” and adds that the casinos “are all on board with the program.” The casinos are too big to prevent people on the banned list from entering, she said, but anyone on the list found trying to use a Player’s Club card, cashing a check or cashing in winnings of $1,200 or more will be escorted out and cited for trespassing.